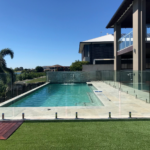 Cozy Pools Gold Coast are leading builders of concrete pools on the Gold Coast, Hinterland, Brisbane and Northern NSW and as such we believe in our product. The strength, durability, design flexibility and colour options which concrete provides as opposed to fibreglass. 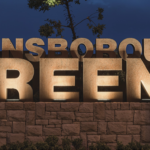 We take great pride in producing exactly what our clients are after whether it is a tropical oasis, a natural billabong hideaway or a grand palatial formal pool with all the trimmings. With Cozy Pools concrete pools you can have what you want. Following is an article to provide you with information on the pros and cons of both concrete and fibreglass pools. Yes there are some cons to concrete pools but as you will see the pros far surpass the cons. When deciding on a pool one of the biggest areas of discussion is which one is best. Concrete or fibreglass. Ultimately each pool has advantages and disadvantages. In this following article I am going to try to explain very simply to you the main differences by pointing out some pros and cons for each pool type, which will hopefully help you in the decision process. Versatile – You have complete control over the design of your pool, including shape, size and depth allowing it to be custom designed to fit any type of block. Concrete pools can be built in areas where a fibreglass pool cannot due to the strength in the material on its own. Strength – concrete is a very strong material and will withstand a lot of punishment. Once poured concrete does not more, shrink etc. and is minimally affected by earth movement around it. Aesthetics – With concrete pool you can create the look you want, formal, natural, oasis. With a combination of both the pool itself and the landscaping the options are only limited by your imagination and your builder’s capability. 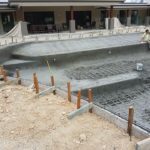 Time – Concrete pools take longer to install than a fibreglass pool due to the structural and engineering to ensure that your pool will stand the test of time. 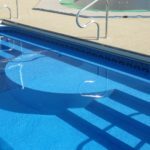 Cost – Fibreglass pool are typically a little cheaper to install a concrete pool as they come preformed making them easier to install. All things said though the price difference between a quality fibreglass pool and a concrete pool is as significant as it used to be. Flexibility – In the case of a fibreglass pool its flexibility can work for it and against it as you will see in the cons. A fibreglass pool may be a better option if you are living in an area with highly unstable soil structure, however thorough investigation is recommended before deciding either way. Set Designs – Fibreglass pools come in set designs which include the size, shape and depth of the pool, this alone limits your options particularly in small or awkward backyard spaces. Flexibility – As fibreglass is a pliable material it moves and if your pool is not kept full of water your pool can distort and loose shape, uncommon however it is a greater possibility than with concrete pool. As I mentioned in the pros fibreglass pools due to their flexibility are also more prone to movement of soil and sand externally, they may not crack but they have been known to be lifted and moved in major floods due their lightweight structure, leaving you with a pool that needs to be rebuilt. In conclusion, as a buyer you need to explore your options, make thorough investigations and spend time in the initial stages before you commit. If you have done all this then you will be happy with you choice. Cozy Pools as builders of concrete pools are proud to have been able to show the differences and also the benefits of a concrete pool. If you have any more questions please do not hesitate to contact one of our helpful staff.